What is "roxybudgy"? It is a pseudonym that I chose for use on the Internet as a username/screenname/nickname. I wanted something unique, special and meaningful to me. 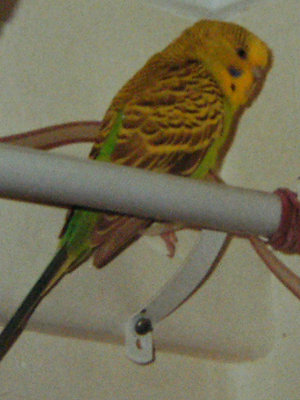 "roxybudgy" is a combination of the name of my now deceased pet budgerigar, Roxy, and a modified spelling of the word 'budgie', which is short for "budgerigar". Roxy was an intelligent bird, and I have many fond memories of her. "roxybudgy" will always serve as a reminder and tribute to a feathered family member.